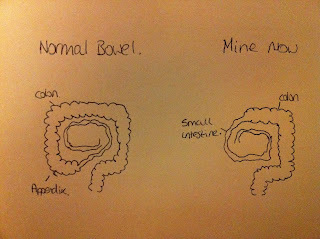 Right then, as I want to start showing people this blog, I think its a good idea that I show you exactly what I look like now, and what surgery has left me with.. It's an awful drawing I know, but it gets the point across. 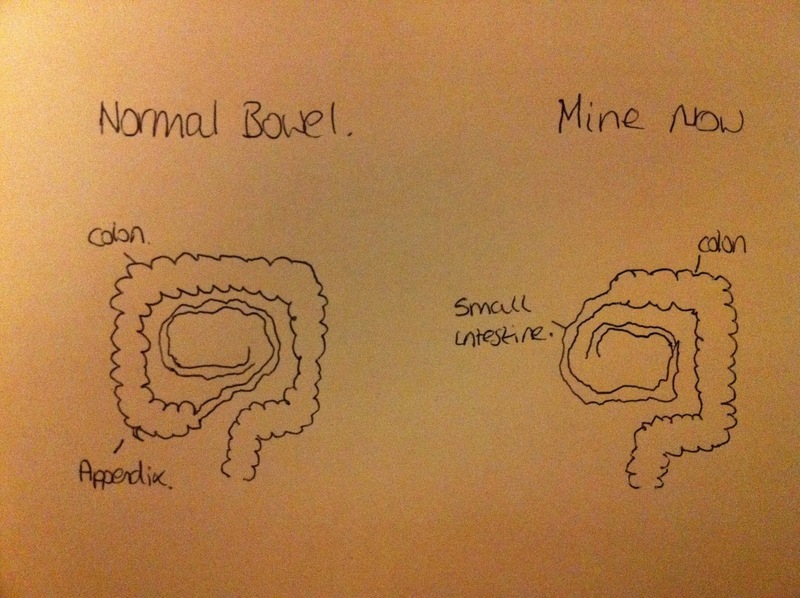 Obviously theres way more small intestine than what I've drawn but I couldn't fit it all in. Here's me in hospital before my surgery. 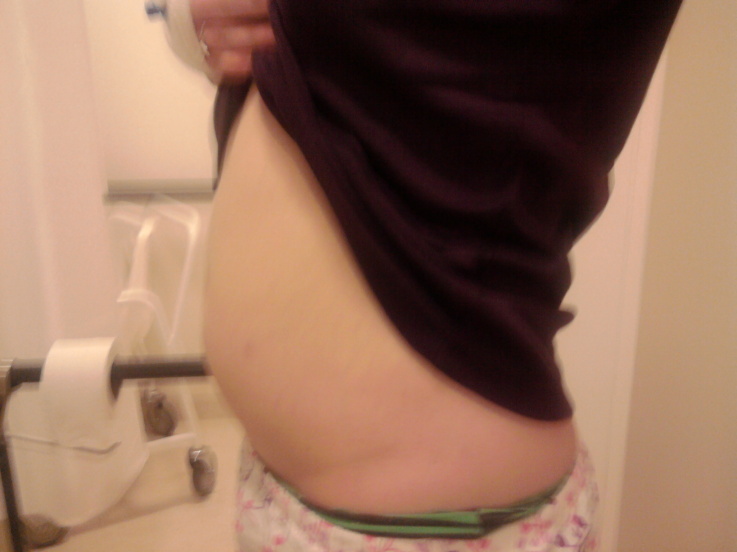 You can clearly see how swollen I am. I look pregnant. Due to the crohns I also have a skin condition called dermatographic urticaria, it basically means I react to pressure on the skin and temperature change, leaving me with pretty impressive hives. Heres one my cousin drew on my back.. Pretty isn't it! haha! Doesn't hurt me but it itches so bad if I forget my medication! 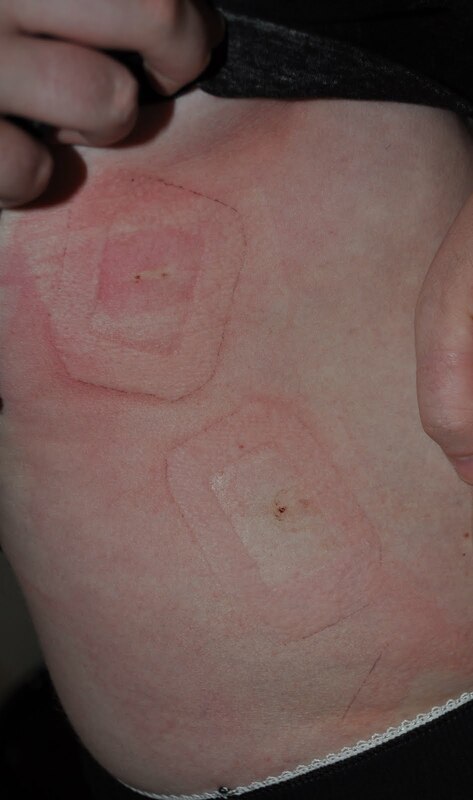 Right, heres two of my surgery wounds, I had 8 all together. I was very lucky to have two highly skilled surgeons operating on me via key hole. I wasn't stitched or stapled, I was glued.. yes... glued! Amazing! Now, this is the ileostomy which saved my life. It's a hard thing to understand and get your head around and many people would think URGH. But let me tell you it's a lot more hygienic. And has become a part of me. 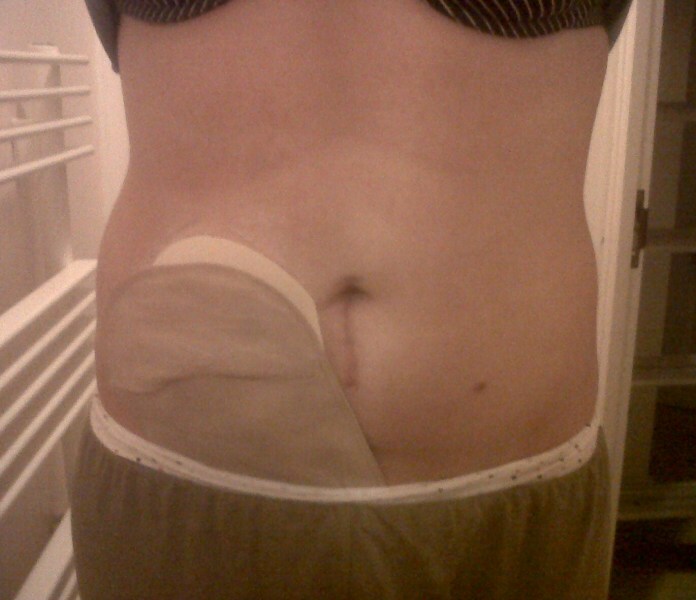 And even when it has been reversed I will forever be an ileostomist. And if the reversal goes bad, I'll happily welcome it back with open arms. Not so bad? This baby saved me.